Is that really me? / Ben ik dat? Goh, ik zou bijna gaan blozen van zoveel enthousiasme. Dank voor je langskomen en reactie, filamots. Great photo. 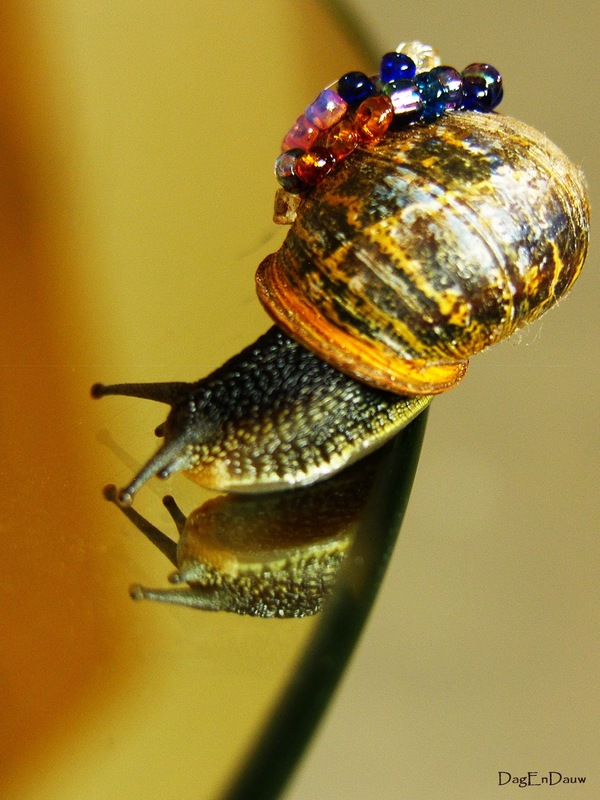 With the beads stuck on the snail's shell I can't but wonder if it's a pet snail or just dressed up for the occasion?